Used Polymer Make-up Unit, manufactured by Tomal AB, 2003. Model PolyRex 4.0. Maximum preparation capacity at 0,5% is 7.7 to 9.5kg/hr. 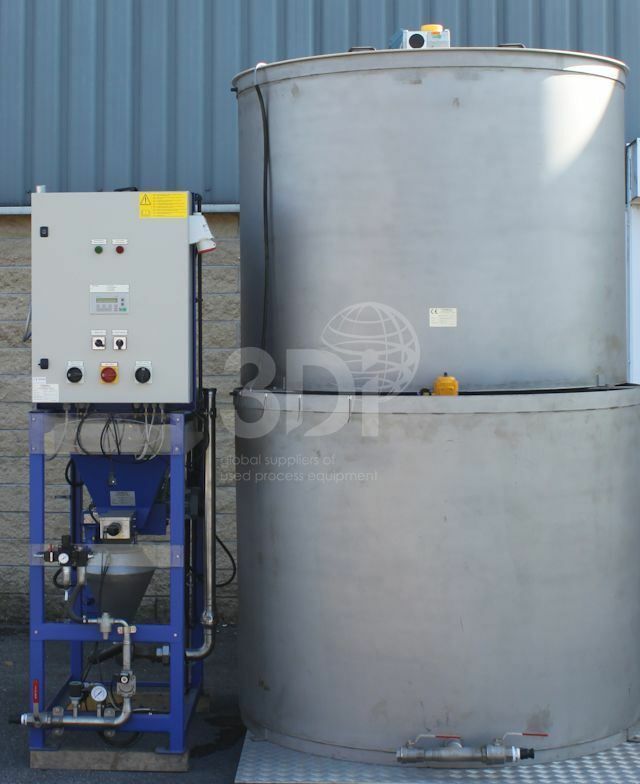 Tank size: 2,000 litre stainless steel tank. Previously used on polymers for use in the paper industry.